What Are Decorative Concrete Release Agents? 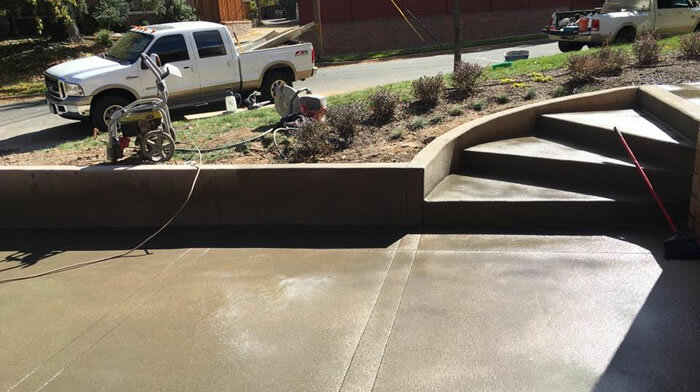 Concrete stamping involves using large rubber stamps to press or imprint specific patterns and designs into fresh, wet concrete, whether it’s just been poured or being applied in thin layers as an overlay. To prevent these rubber “stamps” from getting stuck to the concrete during the drying process and damaging the newly stamped concrete finish, a “release agent” is used, and it plays more than just one role in the process. The release agent not only acts as a bond breaker, preventing the concrete stamps from sticking to the concrete but it also acts as a second opportunity to add coloring and contrast to the concrete surface to achieve a decorative look. Pigmented powdered and now, liquid release agents act as the bond breaker but they also add interesting textures and subtle contrasts to the concrete surface which results in a patina effect known in the concrete trade as “antiquing” and it’s becoming very popular as a way to improve the look of concrete surfaces. Antique Release provides a natural looking colored surface accent that will last forever. 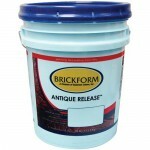 It is recommended to always use a darker color (or colors) of Antique Release over the base color of the concrete.